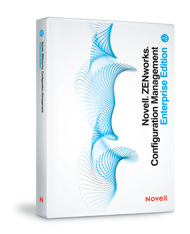 So You want to install ZenWorks 10.x.x.x silently on a machine, sounds easy enough right? Well ZenWorks is making it slightly harder, if You just run the installer with a stay quiet parameter, when it finishes and You or the installer reboots, it was not actually finished. After the installation ZenWorks sits and runs msi packets that needs to install as well, so even thou the installer exited and says all done, another thread from ZenWorks is still working. Adding to my remote Novell migration and removal toolkit, is here below a VBScript that can be used during a migration or as a login script to automatically remove the Novell client from a computer. Of course I dont know if this will work with all versions, but for me this worked to remove Novell in all the editions I encounted, without any tears or use of my feet. The downside of not having to uninstall the Novell client manually from all 2.500 computers, in this migration project is that I seem to be gaining in weight! It goes without saying, the user used for running the script must have administrative rights, the computer definately wants to be rebooted when done, also I recommend removing any novell printers, shares, iPrint, ZenWorks, etc. before removing the actual Novell Client. And You most definately use this script at your own risk! Adding to my collection of VBScript tools for migrating from Novell to Microsoft, here is a little gem to removing ZenWorks, by reading the uninstall information on the computer, we find any version of ZenWorks and the command to uninstall it quietly and without any user prompts. For the last couple of months, and some months ahead, I am working primarely on migration projects, currently I have just finished developing a lot of scripts to automatically migrate from Novell & ZenWorks to a purely Microsoft environment. So I might share some tips and tricks from my experiences. Trying to uninstall Novell printers automatically with VBScripting in a login script gave me a headache, for some reason the good old function WshNetwork.RemovePrinterConnection would fail every time trying to uninstall a Novell printer. After some searching and testing I found that by executing a command to RUNDLL32 PRINTUI.DLL,PrintUIEntry, I could successfully uninstall the printers. My personal experience shows no warnings or errors to the user, as long as the computer can still access Novell, however I did have some warning messages appear when the computer could not connect, but the printer was still deleted, and the user could not abort it, so in my book thats a success!